I love stepping into my studio just to play around, with no objective in mind. Sometimes I'm using up leftover paints or papers. Sometimes I just want to feel the whisk in my hand and hear the "tap-tap-tap" as I work. Sometimes I'm curious to see how the paints are spreading or interacting with one another, especially on an old bath. This is all part of the process of discovery. 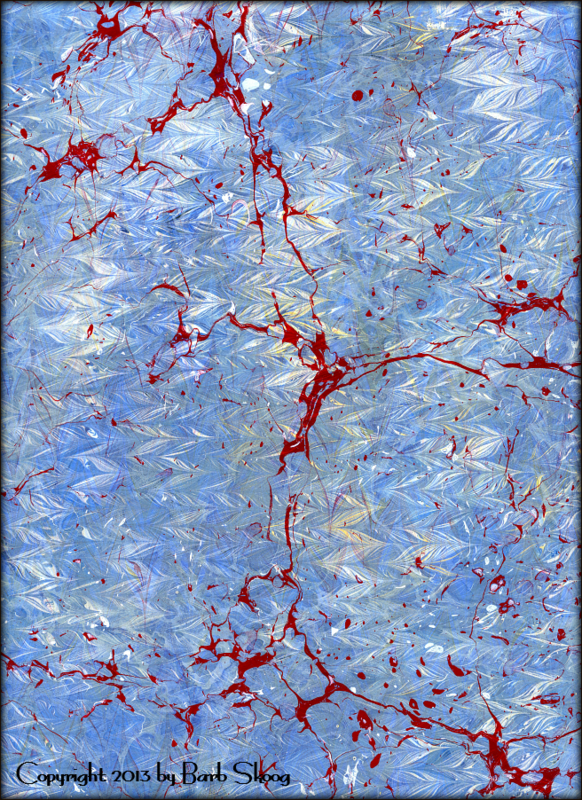 The more I explore, the more I uncover the hidden gems of marbling. 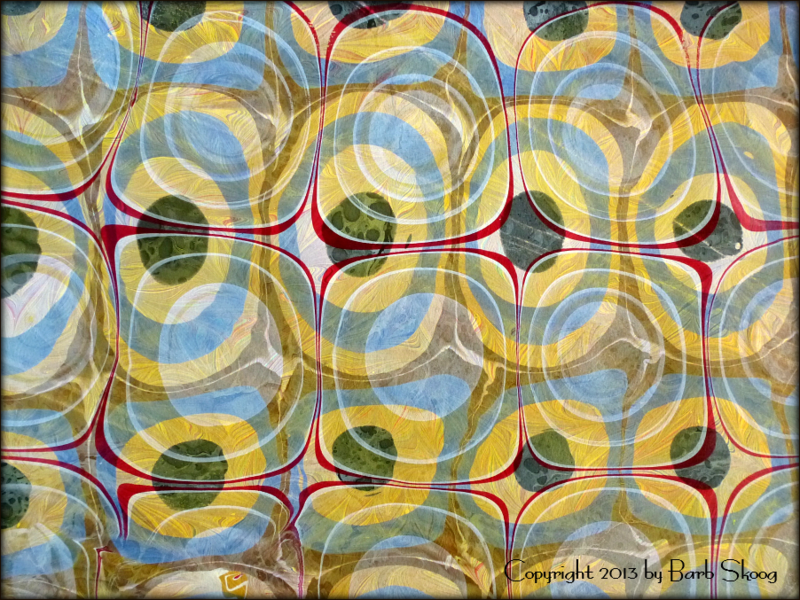 The pieces below range in size from 4" x 6" to 20" x 25" and are all on paper.